Inventing a fake fiancé was an act of desperation for Zoe Montgomery—a knee-jerk response to her horrifying high school reunion! 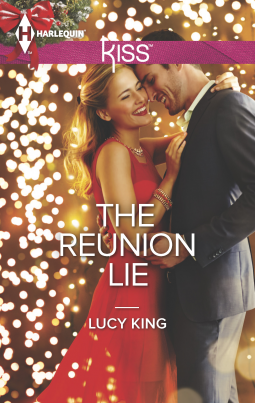 But now that she's convinced London's most unattainable bachelor to play the part, her little white lie is spiraling out of control. Because everyone wants a piece of tycoon Dan Forrester. Including Zoe! Especially once she's seen the view from his bedroom—this might be a fake engagement, but she's certainly not faking anything else! Now the reunion is over, and Zoe and Dan have convinced the world they're meant to be! But convincing each other? A whole different challenge…. This is a story about how high school bullying can affect you years after you graduate, and how learning how to heal from it and move on can set you free. Even though Zoe is a successful businesswoman, she tries impressing her old bullies by zeroing in on the first hot guy she sees alone at the bar. After begging him for help, he agrees with the idea they'll go their separate ways the next day. When the engagement announcement shows up in the paper the next day, Dan and Zoe realize things may have gone a bit too far, but the thought of never seeing each other again seems like a horrible idea. This was a great story about two people who weren't looking for love end up finding it in the strangest place, but must first bury their past if they want a bright future.